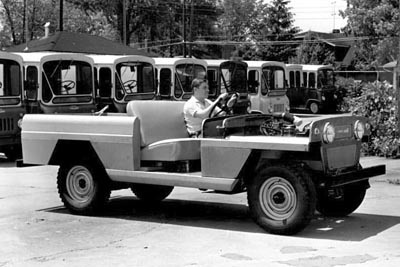 These factory photos show a prototype developed by Kaiser Jeep in the early 1960s for a version of the CJ-5 with a simplified body which could be manufactured in developing countries without a big investment in advanced industrial facilities. This would then be assembled onto a chassis and drivetrain exported from the U.S. 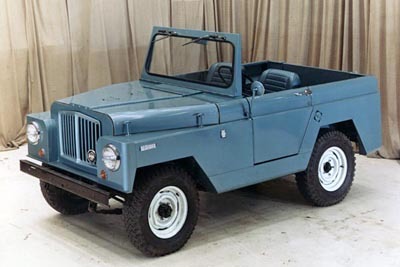 The program was called "Xport Low Investment" (XLI) and publicity material showed that both a CJ-5 and CJ-6 were planned, which makes sense since long-wheelbase Jeeps were always more popular overseas than in North America. 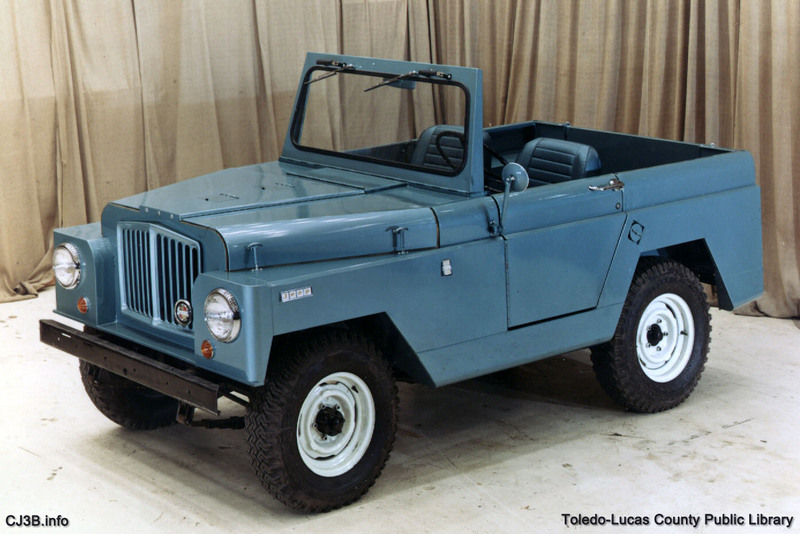 The Xport CJs never went to market, but an Xport version of the Gladiator truck was sold to Turkey for military use. 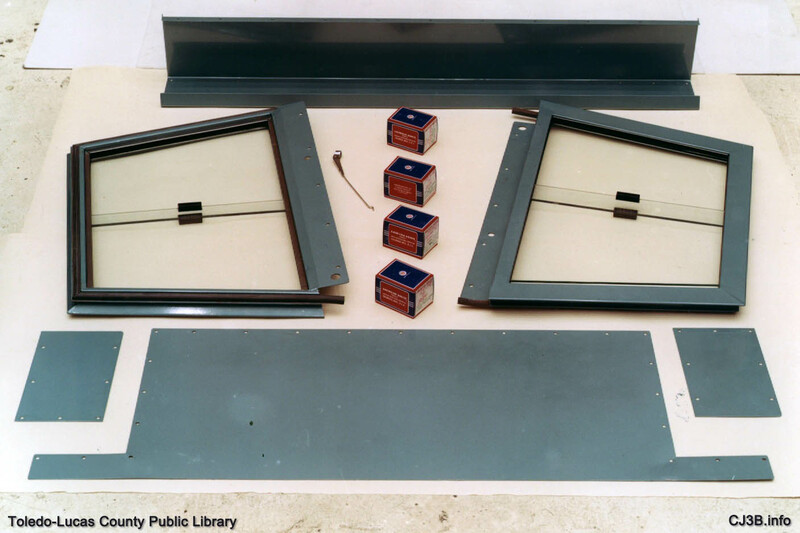 These photos are archived at the Toledo-Lucas County Public Library, where they are dated as 1964. 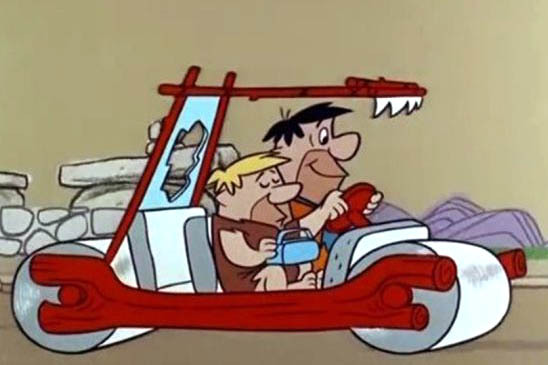 The records there also state that employees at the Jeep plant referred to the XLI prototype as the "Flintstonemobile." Obviously its square, slab-sided appearance reminded them of Fred Flintstone's foot-powered car in The Flinstones , which originally aired from 1960 to 1966. 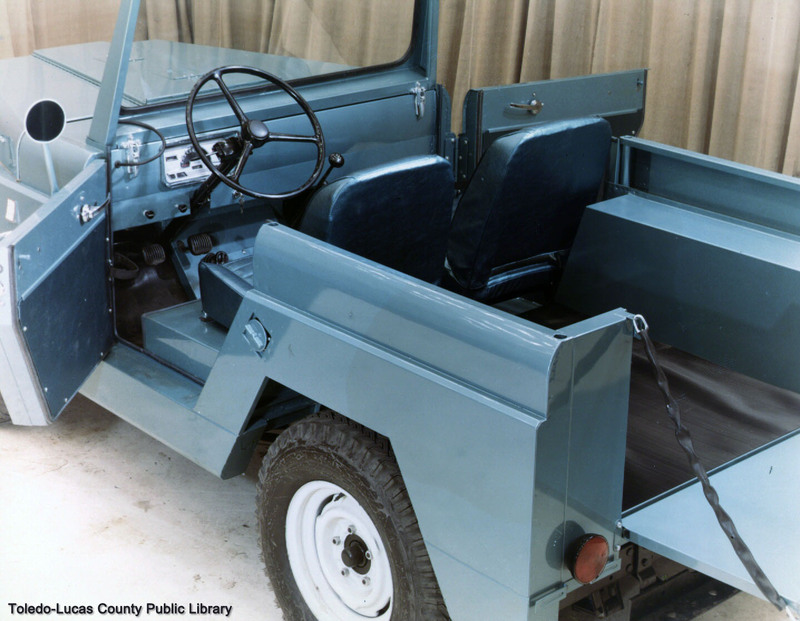 Apparently the chassis was a standard early CJ-5, and some of the familiar body features were retained: Hall taillights, rear-view mirror, hood latches, tailgate chains and a modified folding windshield. 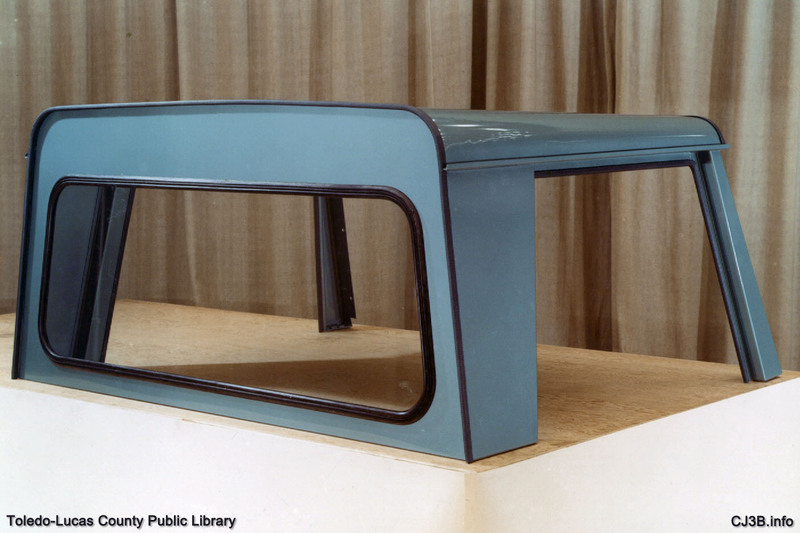 The flattened lines of the windshield and hood do suggest that they would be relatively easy to fabricate, and other complex curves were also eliminated. 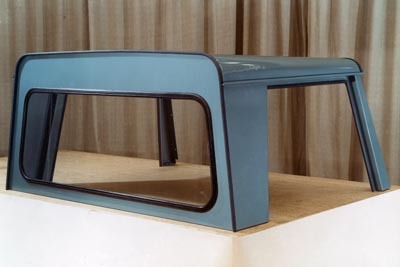 There was a steel halfcab, although the fact that I haven't seen any photos with it installed makes me wonder if there were some problems getting it fitted. The halfcab kit includes a lower back panel and sliding windows for the unique Xport doors. 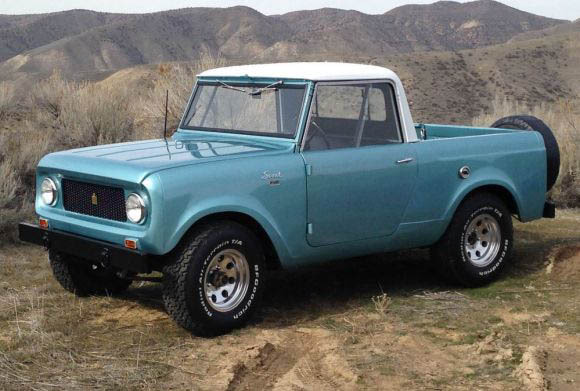 The most obvious styling cue is the stamped grille from the Gladiator truck, which debuted in 1962. 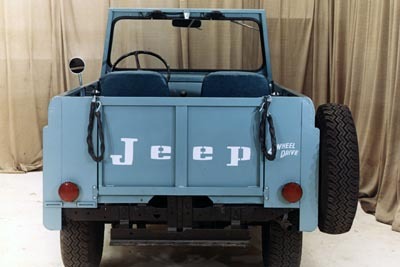 For a body that was intended to be simple to fabricate, replacing the basic Universal Jeep grille with this component seems like a strange choice, but probably they anticipated exporting the grille with the chassis. 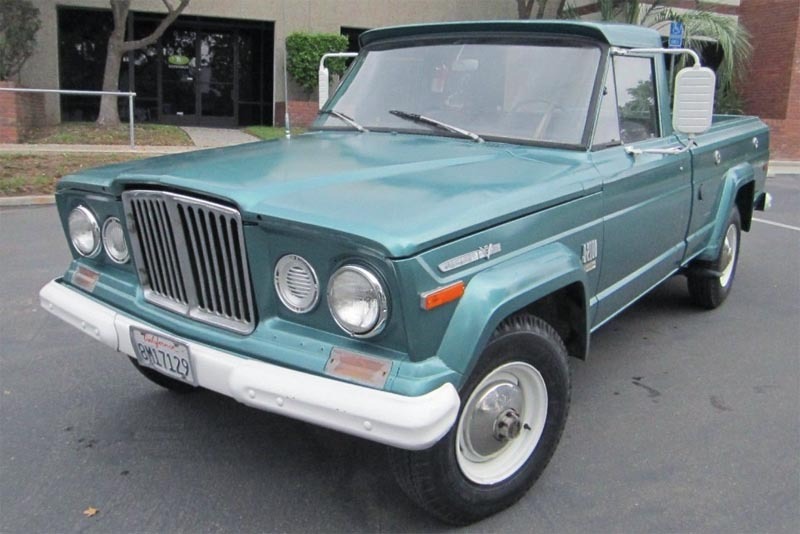 And could there have been some thinking that since the new Gladiator and Wagoneer were selling well, the domestic CJ might also be moved toward this front end styling? 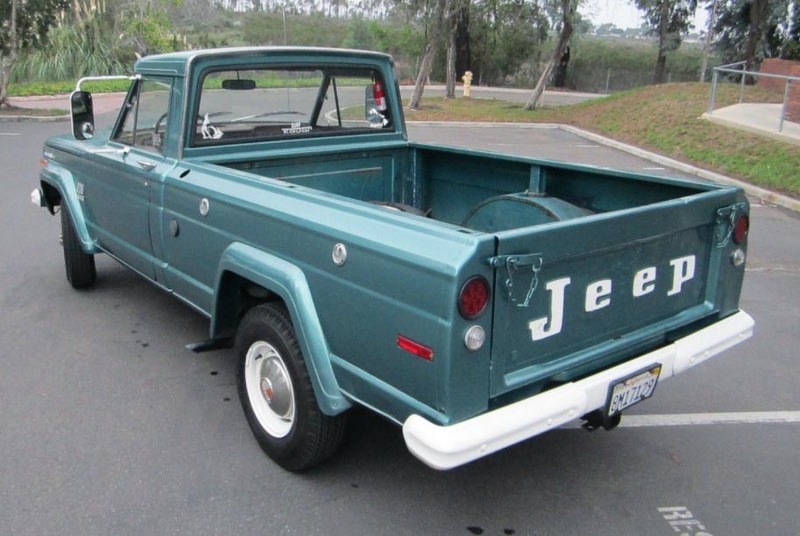 The fleetside bed, three-sided wheel openings, and flat back panels also appear to owe something to the J-series truck, and again it appears that giving the XLI CJ a new look was perhaps as important as keeping the bodywork basic. Oddly, the tailgate does not continue the lines of the side panels, the way the Gladiator's tailgate does. 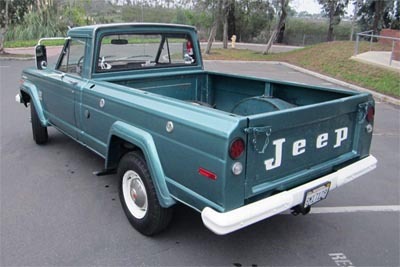 Instead, it seems like the one place where simplicity was paramount, and it gives the rear end a chopped-off look. One of the first things that occurred to me was a certain resemblance to the bed styling of the International Scout, because I had just been looking at the 1961 Scout vs. Jeep comparison booklets. 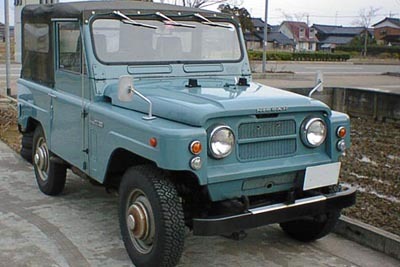 But Kaiser certainly didn't take any hints from the distinctive nose of the Scout. 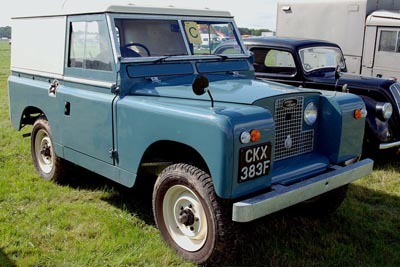 Instead, the boxed-in front fenders scream Land Rover. 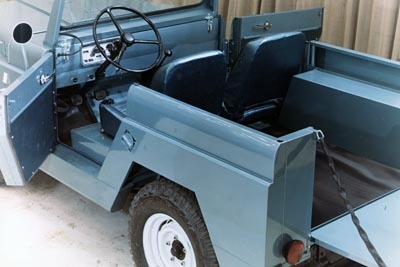 The hardtop and upper doors on this Series II Land Rover are also quite similar to the Xport enclosure. 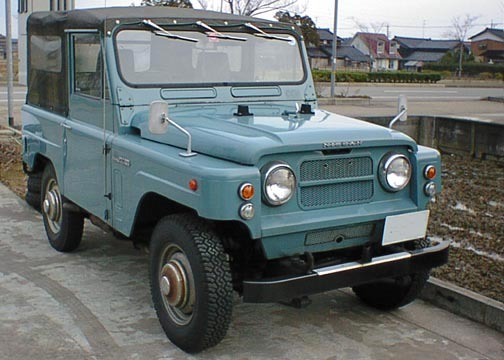 Could the Kaiser designers even have taken a look at the Nissan Patrol 60, which was available starting in 1962 through Datsun dealers in the US? Moving the headlights to the fenders may have been a practical decision in the XLI program. 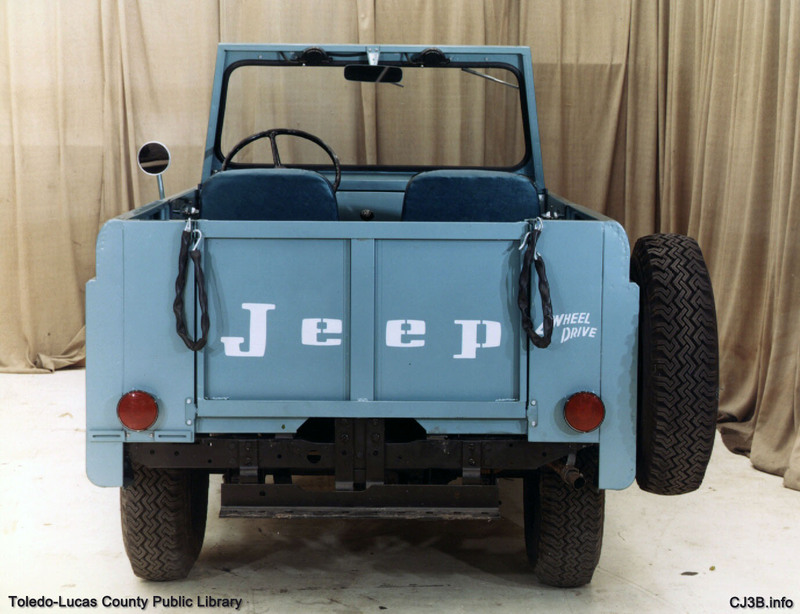 Jeeps occasionally ran into problems overseas with local regulations requiring lights to be farther apart or closer to the outside of the vehicle. 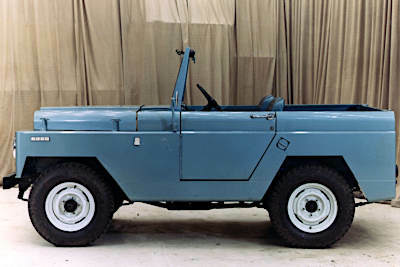 An Xport version of the Gladiator shared both the boxy front fenders and the utilitarian tailgate of the XLI CJ. The only pictures I have seen of the front of the XLI Gladiator, are trucks assembled by Tuzla in Turkey. 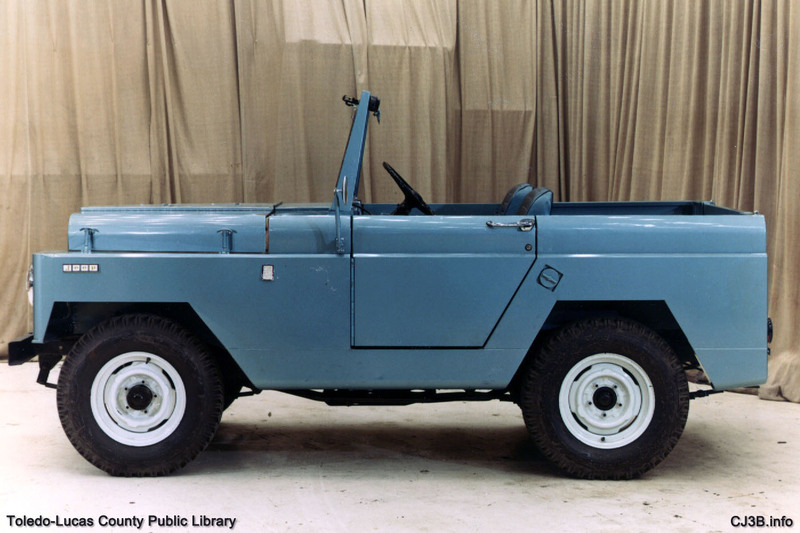 Historic Military Vehicles Directory by the late Bart Vanderveen includes this photo of the version in Turkish Army service, which reveals a flatter front without the projecting, Land Rover-style fenders. This photo, dated to the early 1960s by the Fleetvans in the background, appears to show a version of the XLI Gladiator sporting a different grille with some similarity to the Jeepster Commando of a few years later. It's interesting to speculate whether the Xport vehicles would have helped Kaiser expand Jeep's market share in areas such as Africa where their sales were limited. 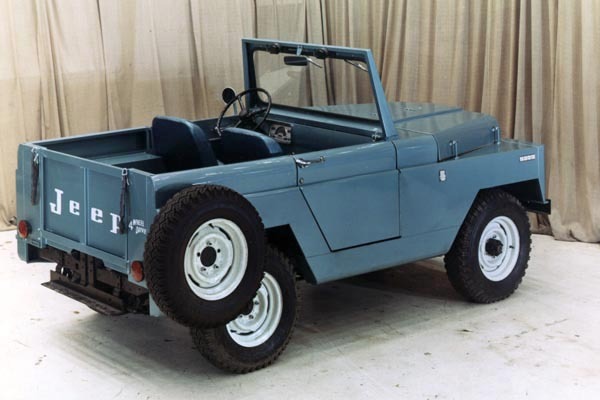 More likely they realized that there were too many factors making it hard to compete with Land Rover, Mitsubishi, Mahindra and Toyota who were all established in overseas markets by the early sixties. So the Xport Low Investment program disappeared. Also interesting is the question of whether somebody was actually thinking that the domestic CJ series might move in this styling direction. If so, we're lucky that clearer heads prevailed. Comments or further information are welcome. 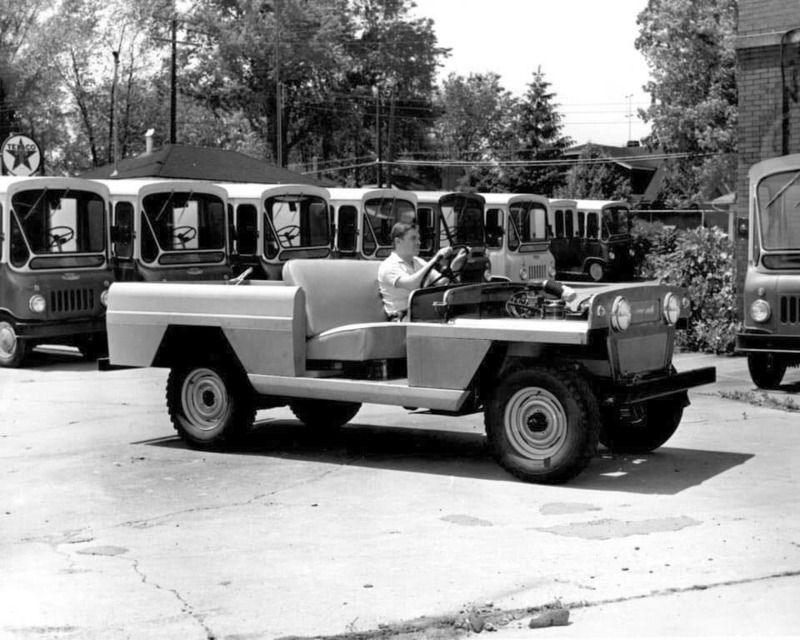 Return to Building Jeeps at The Parkway Plant.